A traditional cookie we make every year, my oldest son Chad's favorite! isn't that the fun and spirit of Christmas? 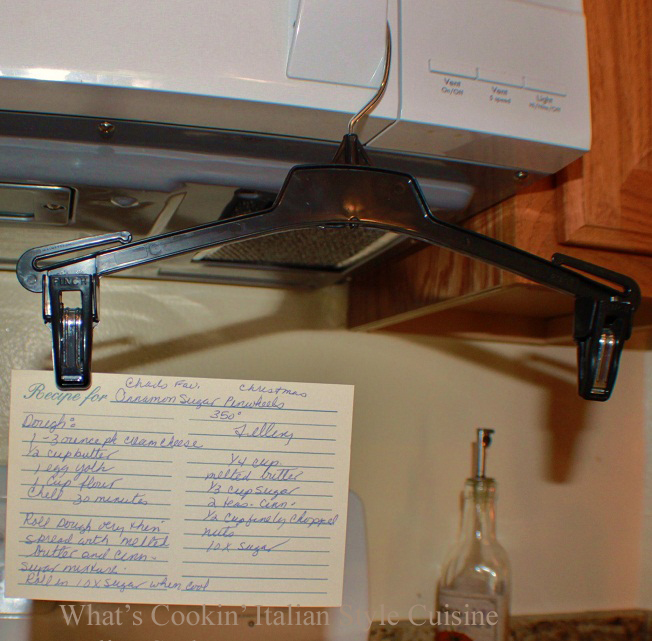 I always place the recipe cards on a pant hanger so the recipes don't get dirty from handling them, works awesome! First I recommend you heat your oven to 350 degrees. Combine in a small bowl the sugar, cinnamon and nuts mix together well. Set aside. Mix all together till everything is blended, chill 30 minutes. Roll out dough on a floured board very thin like a pie crust. Brush the dough with melted butter, sprinkle with cinnamon and sugar nut mixture. Roll up like a jelly roll, slice in 1 inch rounds. Bake on greased or parchment lined cookie sheet until light brown on the bottom around 12 minutes. Garnish with powdered sugar after they cool if you like. My baby Chad..... Where did the time go ? Sounds to me like your son has great taste in desserts because this looks yummy! All grown up! What a classic cookie! I need to figure out how to adopt the hanger trick for tall people. Get that recipe up to my eye level. The cookies sound great. We always make monkey bread Christmas morning these would be a good alternative. Hi Claudia, your pinwheel cookies look delicious. I love cinnamon, it always taste great in cookies and bread. 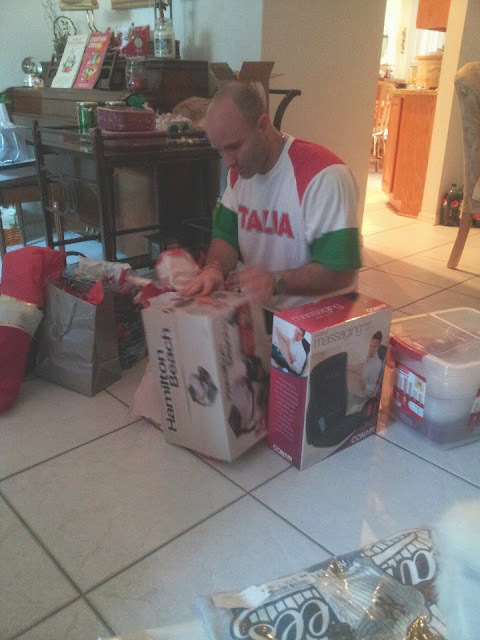 wonderful and I love your family photos. Times goes by too quickly! Those cookies look yummy and great tip with the pants hanger! Claudia, Time does go by very fast. These cookies look lovely…a great family tradition! I will definitely try these, yum!! 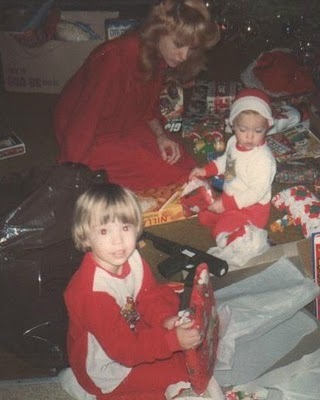 I love how you personalize your posts with family pics. Can I omit the walnuts and still have a good taste? I'm adding these to my baking list. 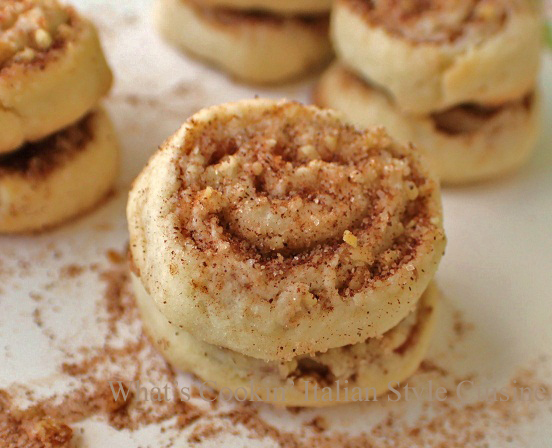 They are like cinnamon rolls but in a cookie form. Love the pants hanger idea! My aunt got me this cookbook holder years ago that I love. It props the book up and has clear plastic over the front so nothing splatters on it. These sound delicious. I live the combo of cinnamon and cream cheese and swirled together I'm sure they taste fantastic! those are best looking sugar cookies I've ever seen! I recently found a blog that is copying my entries word for word and all my pictures. I am trying to notify other bloggers that he is copying. Would you please email me at lynn tabor@gmail.com (one word no spaces) and I can give you more information. I have already reported at least 25 of my entries and two other blog owners.